See attached pics of the Patterson model I have for sale. 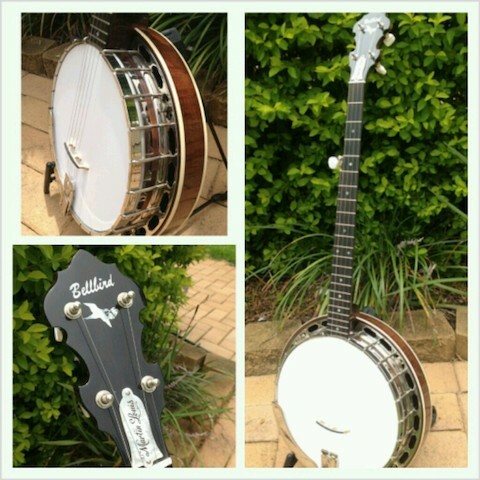 Why not start the new year off with a new banjo. Simple elegant design with A1 hardware, tone, volume and playability. Jens described this as one of the best banjos he’d ever played. Chocolate brown maple, lovely neck and a joy to play. Will come with the new travel case when they arrive. (Note, the name on the truss rod cover is just to show the quality of the hand-engraving my engraver does. I did a truss rod cover for Martin 3 years back when he borrowed one for camp. You’ll get your own name there of course).